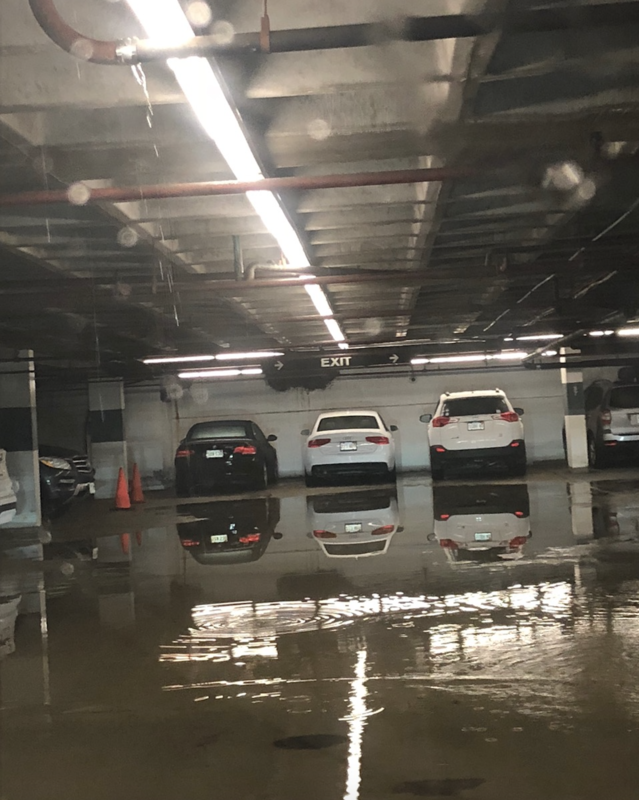 All the wet weather this past week has led to dripping ceilings and flooding at the Harbor Garage on Atlantic Avenue – yikes! Don’t forget your galoshes before heading to your car if it’s parked here. Photo submitted by Paula Luccio. “Neighborhood Photo” is a regular feature on NorthEndWaterfront.com. Send in your photos using our Submit a Post form, via email to info@northendwaterfront.com; or tag @northend.waterfront on Instagram. Please include a caption or story telling us about your photo.